On behalf of the dedicated employees of the Moscow Mills Police Department, I would like to take this opportunity and welcome you to our website. We are hopeful that we will be better able to serve you by providing this medium for current information on our programs, staffing and department resources. 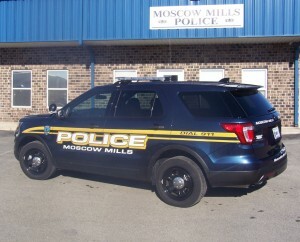 The Moscow Mills Police Department is a highly professional organization of 10 sworn officers. Education, training, and professional development are of extreme importance to our department. This is imperative in order to provide the citizens, businesses, and visitors with the highest level of services and accountability that our community deserves. All of our employees are eager to be of service to our community. Our officers recognize the importance of community partnerships and employ both proactive problem solving strategies and data driven enforcement tactics. The future of the Moscow Mills Police Department is bright with current and future projects in various stages of development or planning. During these difficult economic times we constantly evaluate our business model so we can take the best practice approaches in the response to calls for service, crime prevention and quality of life issues facing our residents. Collaboration is a critical component of effective and efficient service delivery and we enjoy an outstanding relationship with other public safety agencies in the State of Missouri. We cannot reach our full potential without the support and trust of our community. It is only with that support that we are able to provide the best possible service given the resources available while being good stewards of the public funds that enable us to exist. We are committed to the continual improvement of our operations and ask for your input to help us achieve that goal.